Instruments used to test for alcohol, including the testing of breath, urine, and blood. Each alcohol-related offense presents different obstacles. Having sufficient knowledge regarding the legalities of all traffic stops is usually one of the starting points. Furthermore, being versed in the principles of accident reconstruction are crucial. 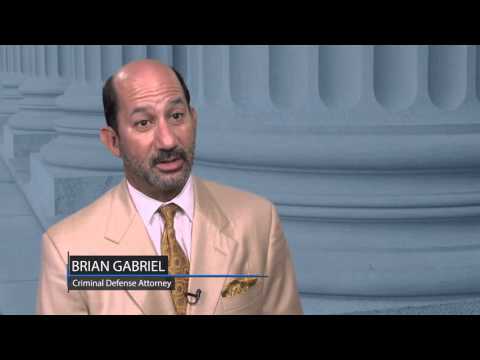 This firm has assisted thousands of clients with regard to alcohol-related offenses. The investigation starts with the reason for the traffic stop and continues with looking at all types of roadside sobriety testing, interrogation issues, video taping policies, and continues with all types of attacks on the scientific testing for the blood/breath alcohol levels. Call DUI Expert Brian Gabriel For A Free Case Review (561) 622-5575. Any one of these penalties is severe enough. 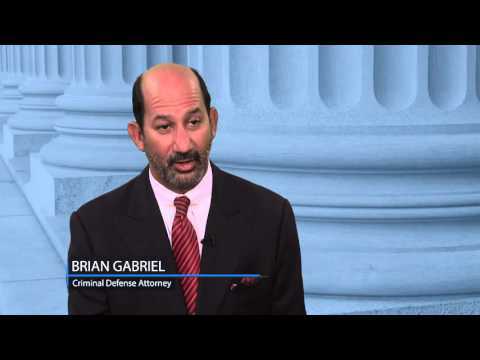 Brian Gabriel, through his years of experience, represents clients with any and all alcohol-related offenses, including DUI Brian Gabriel’s representation of DUI offenses generally starts with all attempts necessary to try to overturn the immediate suspension of a person’s driving privilege. During the administrative litigation that occurs at the Department of Motor Vehicles, this firm additionally investigates the underlying facts of the criminal offense. From the investigation, this firm will determine, explain, and move forward in any appropriate pre-trial motions to suppress evidence and/or dismiss a client’s case. The area of motion practice carries with it extreme importance due to the fact that with the Trial Court agreeing with the defense’s proposition of illegally obtained evidence, the Court can issue rulings forbidding the State Attorney’s Office from being able to use such evidence. Obviously, with the Trial Court removing enough significant pieces of evidence against a client, the State Attorney’s Office position of whether the case may be trial-worthy can significantly change. Again, each case is judged upon individual facts and circumstances; however, this firm continues to represent clients in all avenues. A person who has been charged in the past with DUI may be facing the charge of Felony DUI. 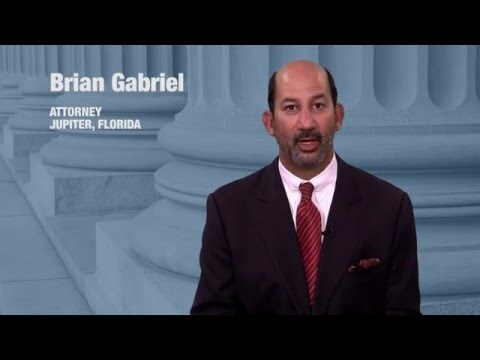 The Florida Legislature has seen fit to again elevate the potential for punishment for a DUI offense due to the person’s previous driving history and/or whether or not personal injuries have occurred during an accident resulting from a DUI Brian Gabriel, in his many years of representing clients with these serious offenses, has seen fit to take a common sense approach toward the appropriate formulation and preparation for a successful defense. The use of innovation and skillful execution to attack any prosecution is always the best defense and assists the client in understanding that his choice for legal representation was correct. In all DUI cases, both felony and misdemeanor, this firms brings years of experience and expertise to your case in attempting to obtain the best results possible for the client. Are You Being Charged With Felony DUI? Call Us For Legal Assistance (561) 622-5575. The worst alcohol-related offense is said to be offenses where a life has been taken. With clients charged with DUI Manslaughter and/or Vehicular Homicide, this firm’s expertise and experience are always put to the test. With as many years of experience, this firm devotes itself to any and all skills necessary toward the best effective advocacy for persons accused with those most serious offenses. This field of criminal defense work is different than most all others. Therefore, the expertise, preparation, and work necessary is clearly far and above most all other offenses. Considering the Florida Legislature has mandated significant prison time for persons convicted of these offenses, it is up to the defense to counteract the employment by the State Attorney’s Office of the most veteran DUI investigators to gather evidence against the accused. In most all of these cases, the accused is contending against the fact that a blood sample was drawn and analyzed. The investigation into these law enforcement controlled “laboratories” must never be overlooked. Scientific evidence of blood analysis. Again, just as with all DUI offenses, extensive motion to suppress practice should be anticipated. This approach is extremely crucial. Short of a trial, this technique is perhaps the only way possible to attempt to achieve the desired results for the client without suffering the risks of going to trial and the associated costs of the same. Clearly, the severity of any of these charges, along with the certainty of the multitude of different types of punishment, make proper legal representation a necessity. It is of utmost importance to find an attorney who has the sufficient degree of knowledge, expertise, and experience necessary to be able to properly defend you in these types of cases. Again, please feel free to contact this office to make an appointment so we can discuss any of these alcohol-related offenses that you may be charged with and/or any other criminal defense matters.